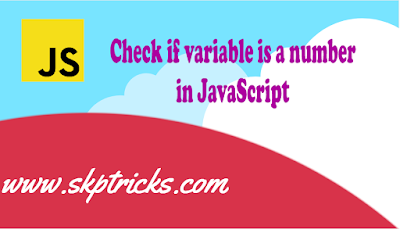 typeof – If variable is a number, it will returns a string named "number". isNaN() – Stands for "is Not a Number", if variable is not a number, it return true, else return false. In this example, we have used typeof operator, and verifying the variable is number or not in javscript. > "758 is a number." > "536 is a number."